With three hot springs attractions, two rivers and a mountain-top theme park, Glenwood Springs, Colo. was the clear winner for Elevation Outdoors readers voting for the 2018 Top Adventure Towns. Readers of Elevation Outdoors like to go outside and play—so do visitors to Glenwood Springs, Colorado. With towns from across the mountain west vying for the top spot, Elevation Outdoors readers selected Glenwood Springs as their choice for Top Adventure Town. Among the considerations, readers were asked balance locations that not only make it easy to have fun outdoors, but also protect and support public lands. Towns were divided into categories based on community size. Those with a population under 7,000 were considered small/medium towns. With almost 10,000 residents, Glenwood Springs fell into the large town category. In the past, the contest has been limited to the Centennial state, but this year the competition grew to include towns of all sizes in the mountain west, including Utah, New Mexico, Montana, Idaho and Nebraska. The award cited the town’s top adventures as soaking in the geothermal waters at Glenwood Hot Springs Resort and Iron Mountain Hot Springs. It also touted the river-centric activities that dominate the summer season such as fishing, whitewater rafting, canoeing and stand up paddle boarding (SUP). Glenwood Caverns Adventure Park added another exciting element to the roster of things to do where the thills include award-winning rides like the Haunted Mine Drop — the world’s first underground drop ride; the Giant Canyon Swing that launches riders 1,300 feet over Glenwood Canyon and the Alpine Coaster which allows riders to control their speed as they race down Iron Mountain. The park’s cave tours also got a shout out. Visitors can choose from several walking tours or opt for a Wild Tour that requires crawling and shimmying through narrow cave sections. Since 2009, Elevation Outdoors Magazine has been the leading guide to outdoor sports, health/fitness and adventure travel in Colorado and Rocky Mountain West and beyond. Distributed 11 times annually statewide, Elevation Outdoors has established itself as the state’s top regional outdoor publication. 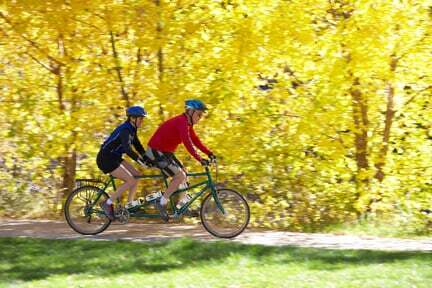 Officially recognized as a Colorado Top Adventure Town, find out more and plan your own adventure in Glenwood Springs at www.visitglenwood.com. Glenwood Caverns Adventure Park throws a farewell party for the Iron Mountain... Adventure town 2018: Glenwood Springs, Colorado!